Is there a tutorial for this easy block? 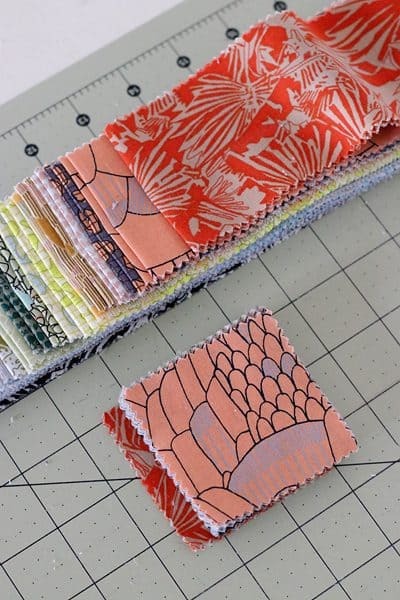 I think you sewed the middle squares (mini charms) along a jelly strip, then repeated along the other side of the squares, then cut to make the middle, then the rest of the jelly strip for the outer sides? This makes 4 squares? That’s it Jill. Each strip, plus 2 squares, makes 2 blocks. So I would sew one side of each square to the strip, then clip apart. 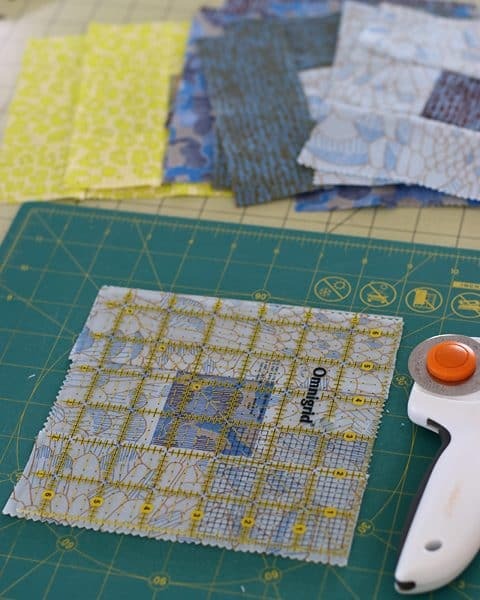 Sew the other side of each square to the strip, then clip apart. Press both seams. Then sew the strip on the other two sides of the centre square to create a complete round of “logs” around the centre square. Clip apart and press and trim. Voilà! Looking forward to seeing the other block layouts. 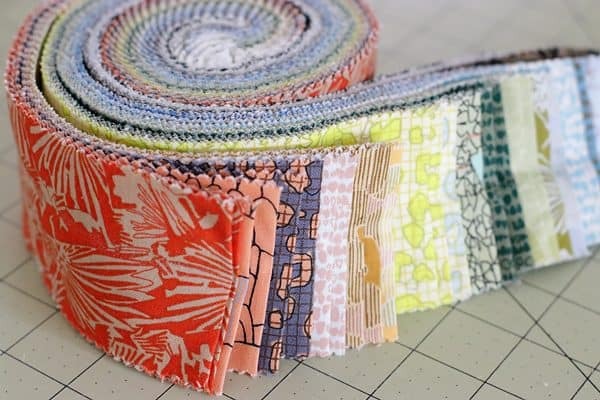 This is going to be a pretty quilt whatever you choose! Thanks for the vote of confidence, I appreciate it! What a great idea to just move one color to the back of the stack. I am color challenged so this idea really appeals to me. Can’t wait to see the layout you choose. Thanks for the tut. And I love those fabrics. Thanks Elaine. Colour coordination can definitely be troublesome, that’s why I was happy that this jelly roll had already done the work for me! 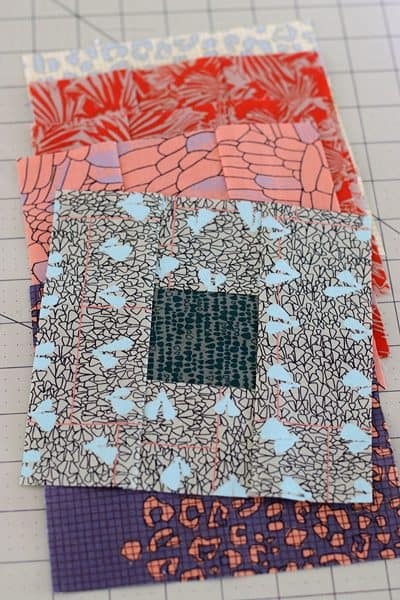 Very pretty fabric and now I can see how to quickly piece I have been doing it the hard way! 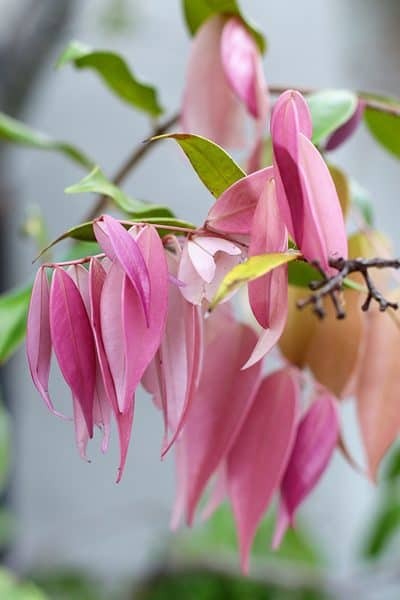 Love that tree with the pink leaves, what is it? Ha, I’m such a tease, right? Don’t worry, I will have a post up this week about it. I am only 6 seams away from finishing it. Come back soon! 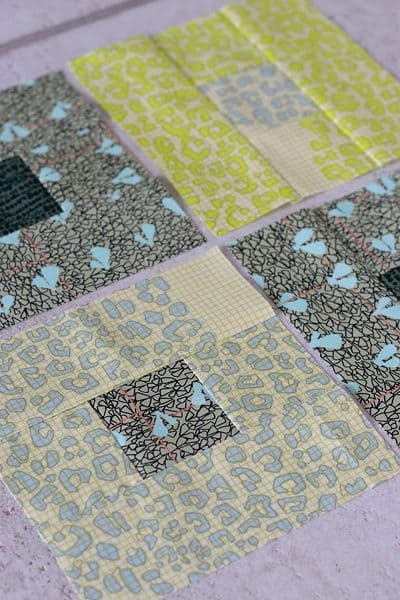 Thanks for sharing your process of this quilt. The lattice for sashing is just what I needed to finish a quilt similar to yours. I have been pondering along time for just the right way to sash my blocks. 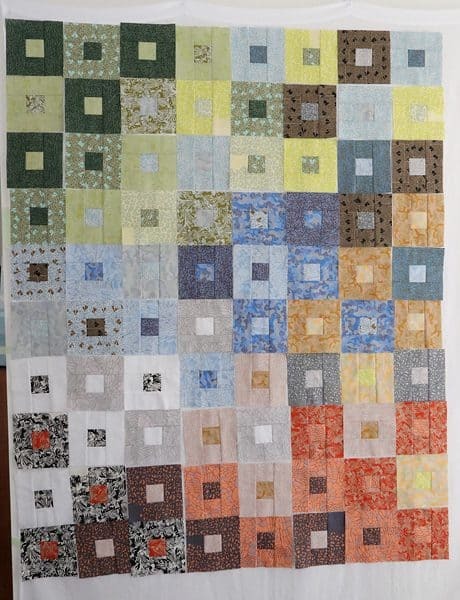 Now I just have to lay out the blocks in a please color arrangement. Oh how I need a large design wall so that any visitors could move the blocks around and help with this puzzle of color arranging. 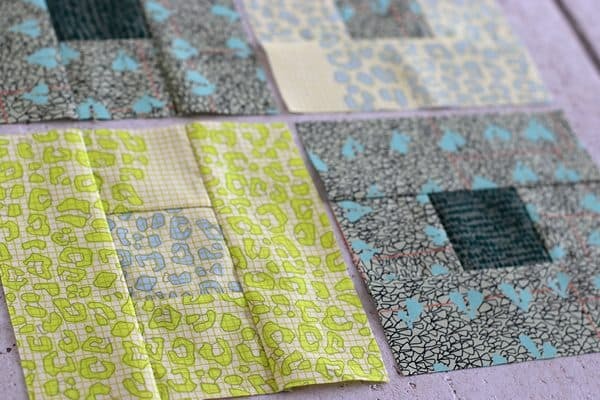 I am so excited to finally get this quilt to the next stage. 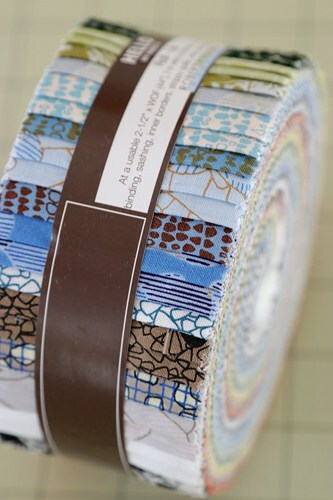 Looking forward to see how you quilt it.